More Portland-area valedictorians and straight-A seniors will enroll at George Fox University than at any other private college in Oregon. 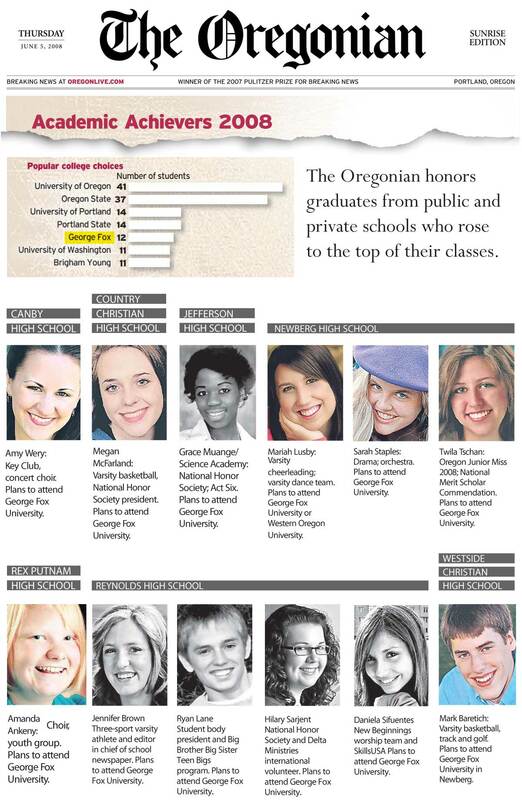 George Fox is the most popular private college choice among The Oregonian’s 2009 Academic Achievers and the fourth-most popular college choice overall. Among last year’s Academic Achievers, George Fox was second among private colleges and fifth overall.